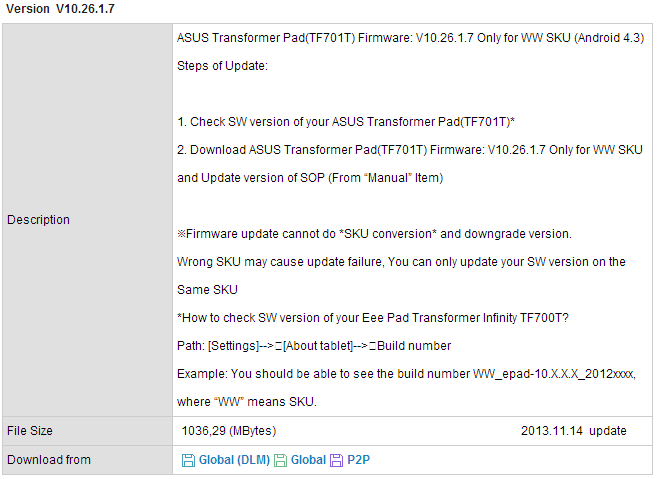 We heard yesterday that the newest Transformer Pad was slated to get its Android 4.3 update on November 18th, but it looks like the bits are dropping a little early. 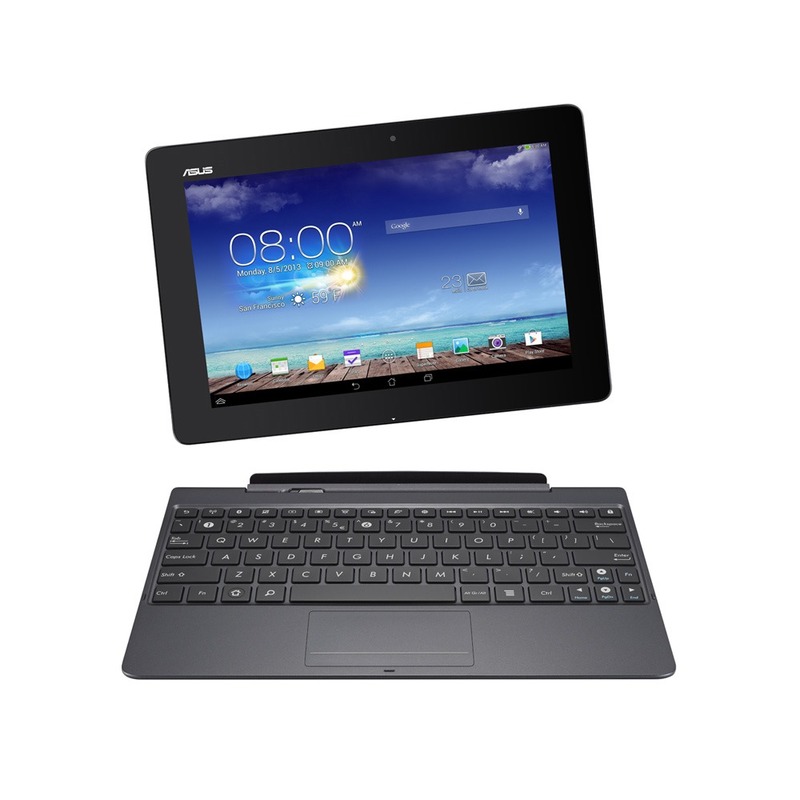 Android 4.3 for the TF701T has been posted on the Asus support site, and you can download it right now. In addition to the Android 4.3 goodies, this new ROM will include battery life/charging improvements and tweaks to the dock's trackpad. 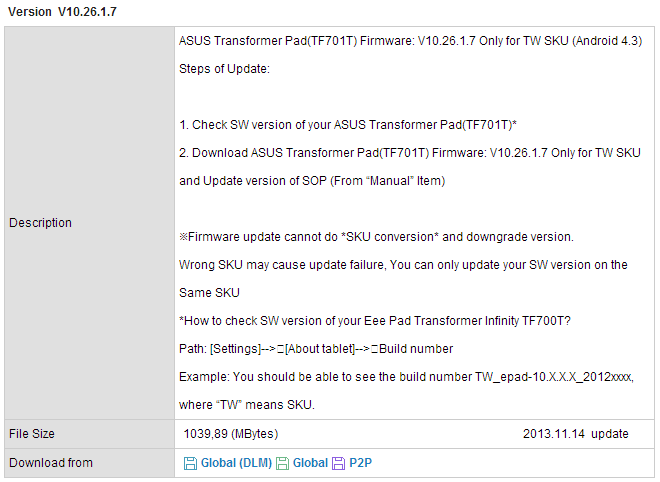 Keep in mind there are two different firmware versions, one for the Taiwanese SKU and one for the rest of the world. Make sure you grab the right one if you're going to flash it. November 18th might still be the date for the OTA to hit devices – it looks like that hasn't started yet. The downloads are about 1GB each and look final, but proceed at your own risk.